Smooth milk chocolate is the perfect addition to an already fabulous Oreo. 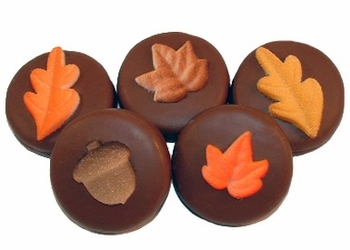 Sugar leaves and acorns add the perfect pop of fall color to the top. Assorted decorations.